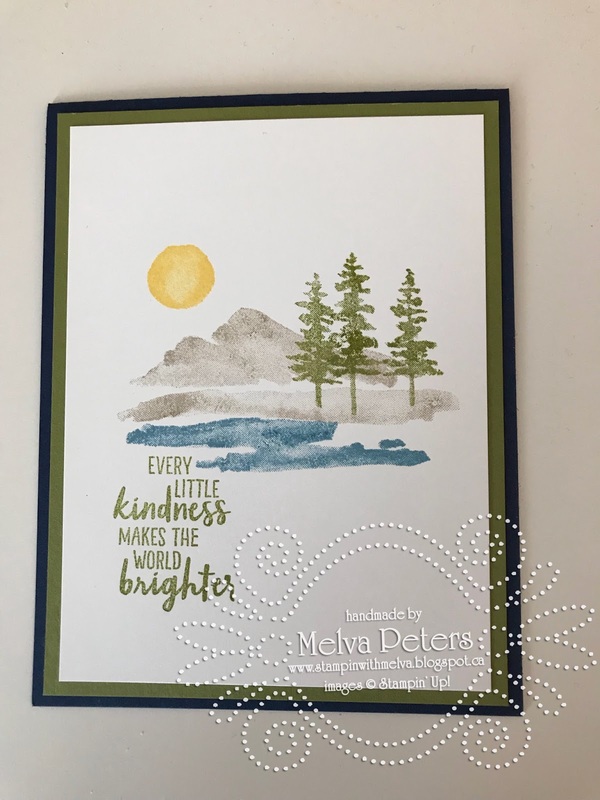 Stamp with Melva: Waterfront - why did I wait so long to play with this stampset? Waterfront - why did I wait so long to play with this stampset? Have you ever had a stampset that you thought you would use and then didn't? I've definitely had a few, but from the Occasions Catalogue, that was Waterfront. I love everything I see made with the set, but I hadn't pulled it out and played. Until last night, that is! Wow, this set is amazing and so easy to create beautiful cards and projects. 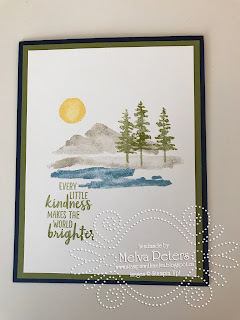 Today I want to share with you two cards that I made that are the same except on one I stamped on Whisper White Cardstock and on the other I stamped on wet Watercolour paper. First the card made by stamping the images on Whisper White. I love how crisp, clean and peaceful this card is.